I am loving my new fringe infinity scarf. It goes with everything! I found it for a great price on Groopdealz a few weeks ago. I get nervous ordering scarves online because I like to touch them and make sure they won’t be rough on my neck. But this one arrived, and it is so soft! 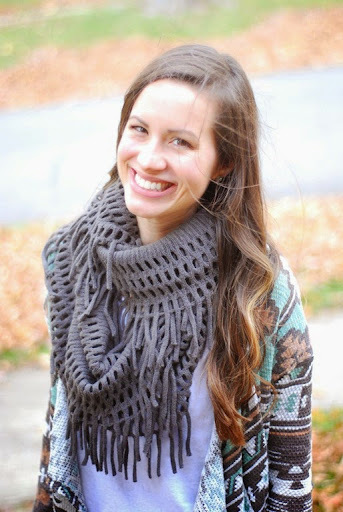 Since it’s an infinity scarf, it styles itself, and it adds a lot of texture to any shirt. Enjoy your Wednesday! I’ll be taking Ephraim for his 9-month check up, and getting caught up on some chores :) Exciting stuff! You are such a casually-chic mom and this kind of outfit is my Fall formula Outfit. As a matter of fact I own an almost identical scarf and booties. I wore a similar outfit with a big cozy cardigan, just the other day. Welcome by to check out my mommy style blog. Those booties are so cool! I love them and all the texture you put into this look. We had an 80 degree day yesterday. I think we are back to cooler temps and rain for today. Fall, my favorite! Come link up with me at Wathcha Wearing Wednesday! Stopping by from the What I Wore linkup. 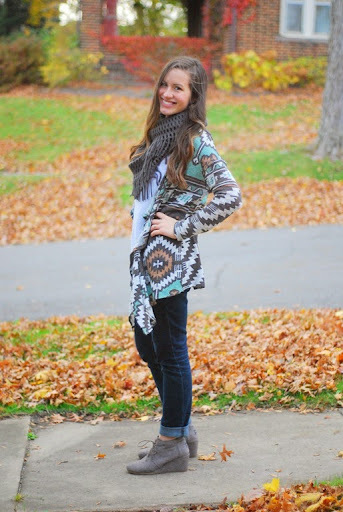 I love your aztec cardigan and this layered look! Obsessed with your cardigan...just sayin! Hope it's still at my Target!! Wow! 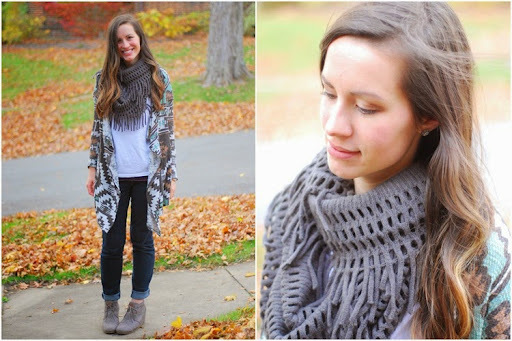 What a beautiful cardigan and scarf! They are just gorgeous on you! 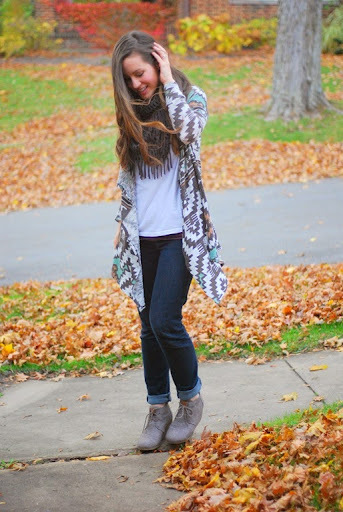 Such a fun, fall outfit! Love the cardigan- have been looking for one like that for these kind-of-cold-but-not-fair-isle-sweater days... looks like Target is the spot! I get emails from Groopdealz nearly everyday and I still haven't bought anything from them. I need to!! The scarf is awesome! I love love this outfit! 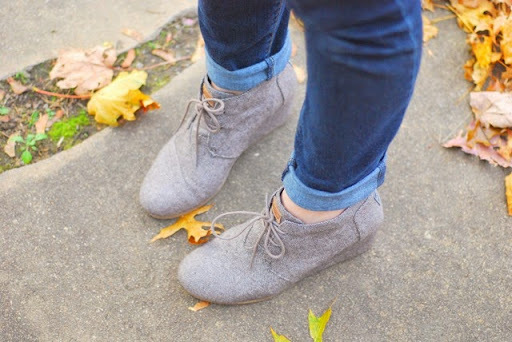 You styled the fun cardigan perfectly, and I especially like the gray booties. Ooo... I just adore that cardigan! I love this whole look! It's so cozy! I know what you mean about order scarves online. I'm always nervous that they'll be smaller/shorter than then look in the picture. I haven't been brave enough to buy one online yet, but this one looks so great on you! SUCH a great outfit!! The scarf..the cardigan...everything!